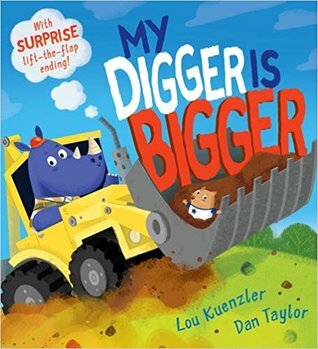 Rex Rhino roars along in his digger, Charlie Cheetah zooms by in his super-fast motor, and Holly Hornet whizzes right up to the sky in her jet, as the animals compete to find out whose vehicle is best. But it is little Jack the Gerbil who really wows the crowd with his gravity-defying scooter tricks. A riotous rhyming picture book with a fantastic fold-out finale! One of my favourite things about working in a library is being one of the first people to open up the boxes with the new books inside and getting a look at the books that have been sent to us. Then if anything grabs my eye, I get to have a quick peek through it. When I saw this book, I was instantly intrigued and found myself diving in. I was expecting it to be a little bit fun perhaps but I ended up thoroughly enjoying the book. It was full of fun and interesting characters, lots of rhyming words and I was absolutely sure that it would be an absolute smashing hit with the kids. In this book, the animals all have different things that they use to compete with their friends. Rhino’s digger is bigger but the Cheetah’s car is faster. I thought this was wonderfully clever and brilliant. It showed that we’re all different and unique and have our own things and talents that make us the “best” and which make us who we are. It does this by using animals that are all different and I just found it so fascinating and I hope that it helps to show to children that everyone is different but that doesn’t make any one less worthy. Alongside a fantastic rhyme that flows really well, this book is full of bright vibrant pictures and a lot of things happen on each page which is perfect for keeping the children entertained. I am positive that this is a book that would be read over and over again and one that would be quite fun to share with your little one as well. I feel that it is the perfect book to inspire both girls and boys and I am just absolutely positive that this book will be a big hit with the young children who can then go off and play with their toy trucks and cars – as I am sure my niece would! Verdict: A fun, rhyming, interesting and fascinating picture book which will capture the children’s imagination and inspire them to be better and play together. And outsider Simon, creator of the notorious gossip app at Bayview High, won’t ever talk about any of them again. He dies 24 hours before he could post their deepest secrets online. Investigators conclude it’s no accident. All of them are suspects. Five high school students – a geek, a jock, a criminal and a gossip – walk into detention…only four leave. After the sudden death of Simon, the creator of an infamous gossip blog, the four other students see themselves pursued in a relentless police investigation -thrust into the position of murder suspects as it comes to light that Simon was only 24 hours away from posting their deepest secrets online. This YA psychological thriller follows the twists and turns of this murder investigation, examining the role of the media, the evolving relationships of the suspects and the repercussions of this shocking murder on this small American town. From the very first line McManus captures the readers attention, as we delve deeper and deeper into the story line. We see such vast evolvement of plot with multiple character point of views, creating a three dimensional insight into the investigation, whilst providing many layers of perspective that contribute to the overall suspense and pace of the novel. The reader comes to question the involvement of all the characters at different points in the novel, serving to add a great sense of suspense and suspicion that overall makes the book vey addictive! Although at times predictable, McManus constructs subtle plot twists, in such a way in which their significance only comes to light later in the story, in doing so the reader enjoys a vast and relatively complex plot line. Whilst examining the police investigation and changing attitudes of the public; in a similar vein to Breakfast Club, McManus looks at the interaction between social circles. We see great evolvement in the relationships of these characters, who would other wise never interact, but have been uniquely bonded by the experience. I thoroughly enjoyed the aspects of friendship in this book as we see both the deterioration of relationships and the formation of new ones, as the investigation deepens. The book also has a romantic subplot, which whilst at sometimes subtracted from the overall plot, served to add a sense of anticipation and excitement, of which overall effectively contributed to the development of character in the book. I found the ending to be relatively predictable, yet the author still managed to retain a sense of satisfaction as the outcome is skilfully weaved throughout the plot. Furthermore, McManus effectively injected the right about of action and pace along side psychological suspense, creating an ending that kept me thinking about the book days after I finished it. 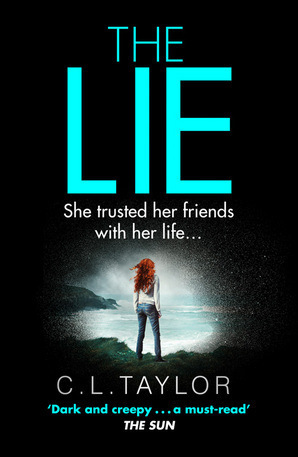 Verdict: Overall “One of Us is Lying” is a fast paced and vastly enjoyable read, that has been skilfully constructed in order to maintain constant suspicion and anticipation. I would most definitely recommend this for lovers of murder mysteries and would be especially perfect for lovers of 13 Minutes by Sarah Pinborough, Running Girl by Simon Mason and fans of the Breakfast Club.